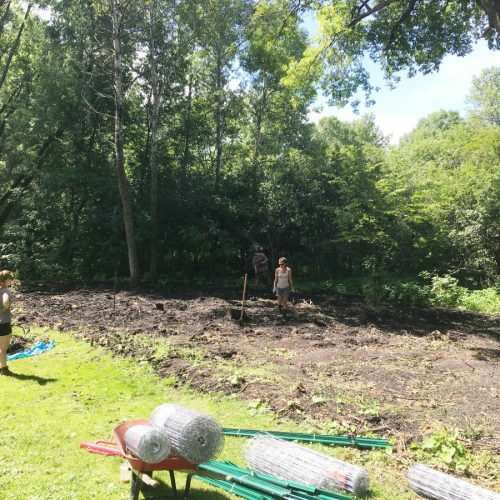 This project began as a 1,500 sq. 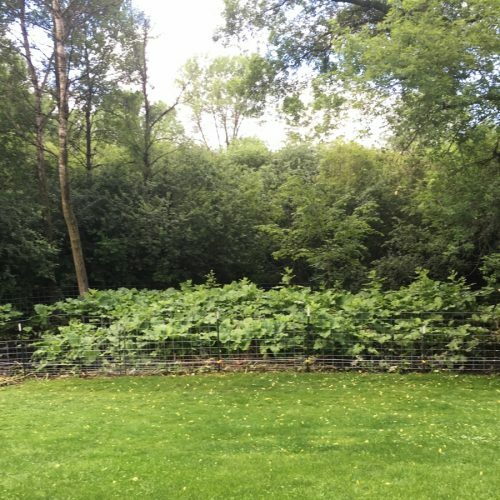 ft. patch of burdock, a noxious weed with deep taproots and a persistent seed bank, on a wooded wetland edge. 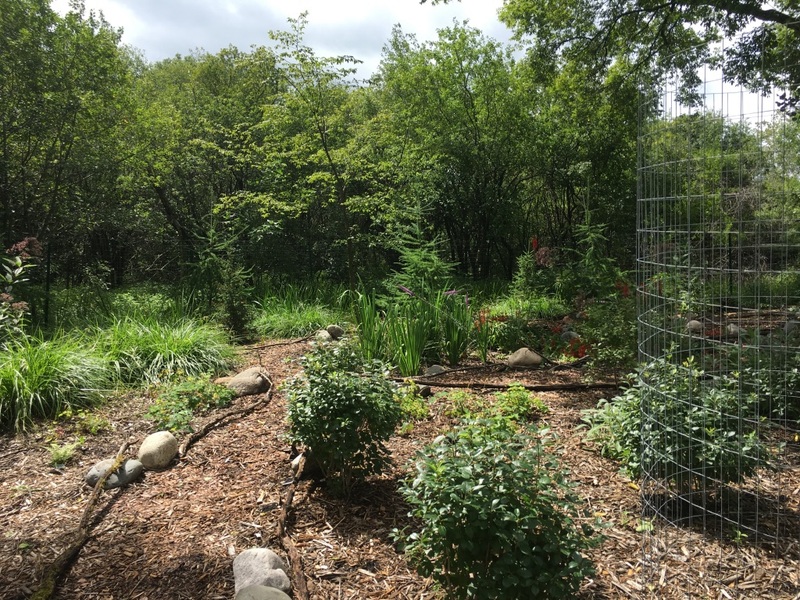 We were able to work with our progressive clients to create a chemical-free eradication plan utilizing Mangalica woodland pigs (the type of pig used for making prosciutto). 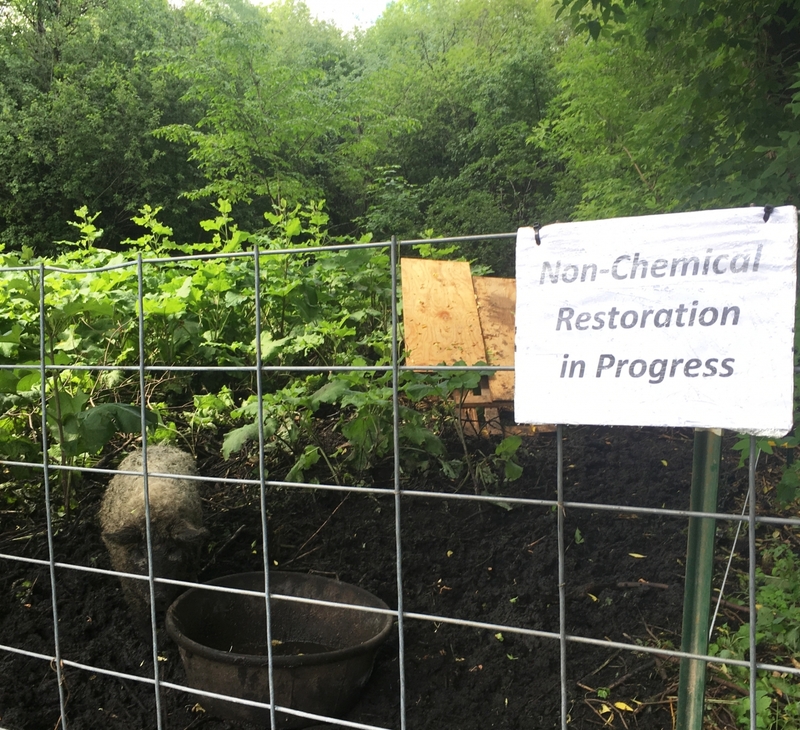 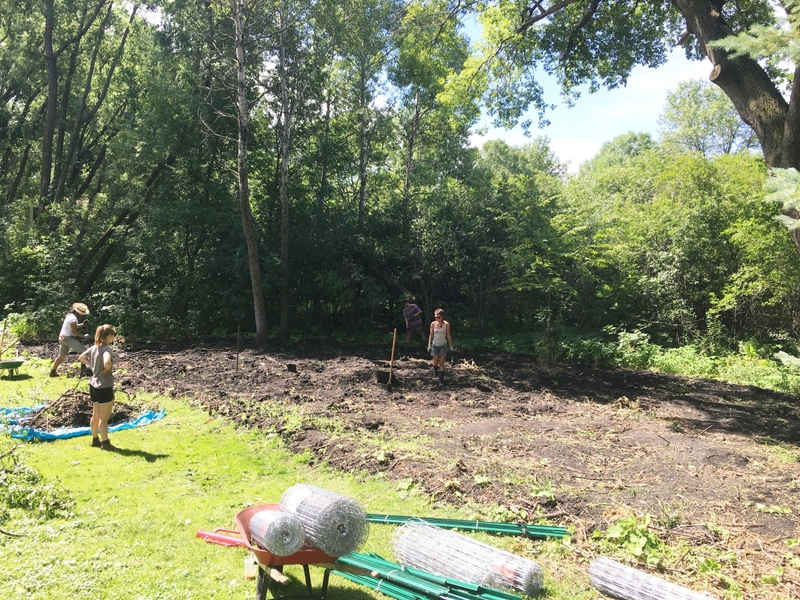 Prior to burdock the area had been invaded by both buckthorn and garlic mustard, we were contacted to break the cycle of invasive species. 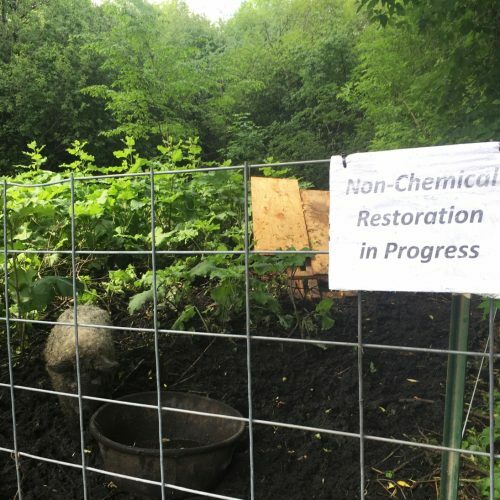 We work to find alternatives to the use of chemicals for eradication, especially when working adjacent to sensitive ecological settings such as a wetland. 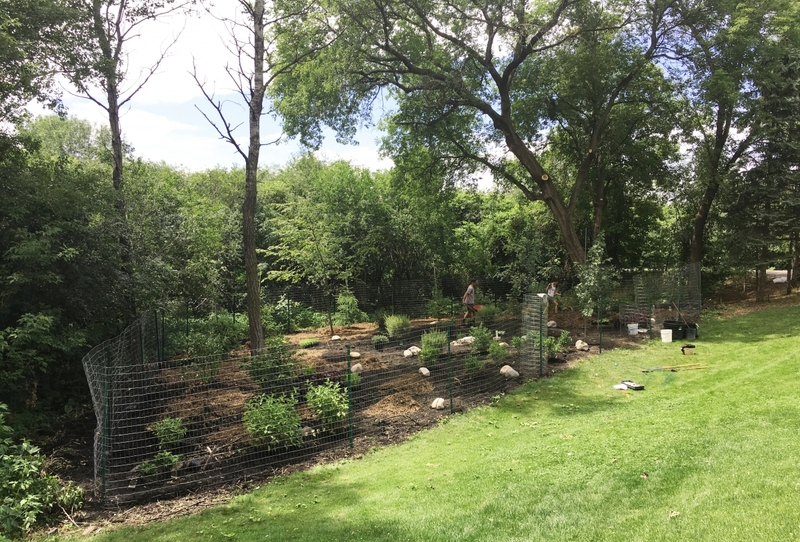 The area was too muddy for heavy equipment, and sheet mulching is not the best solution for tap-rooted plants. 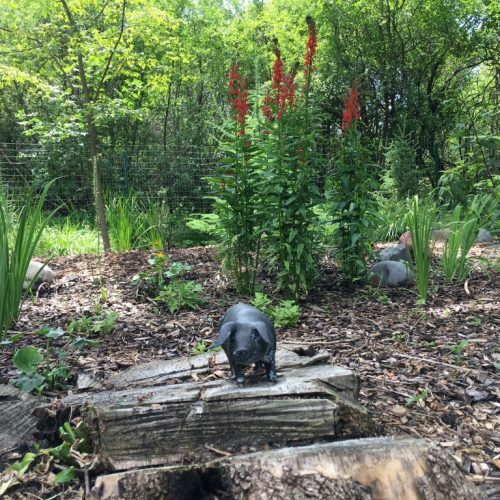 In collaboration with the farmer-owner of the pigs, we set up a temporary enclosure; the pigs rooted for 10 days removing almost all of the plant material including tap roots. 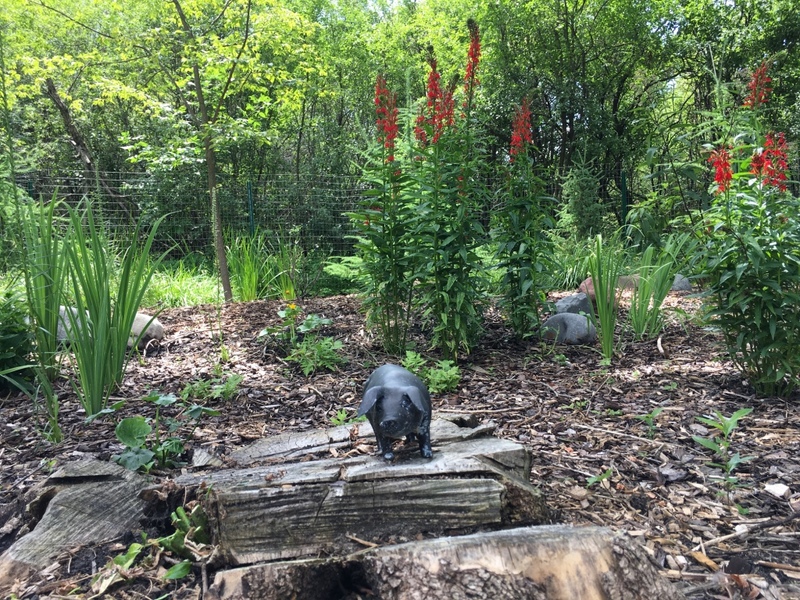 Once the pigs finished their work we came in and planted native vegetation. 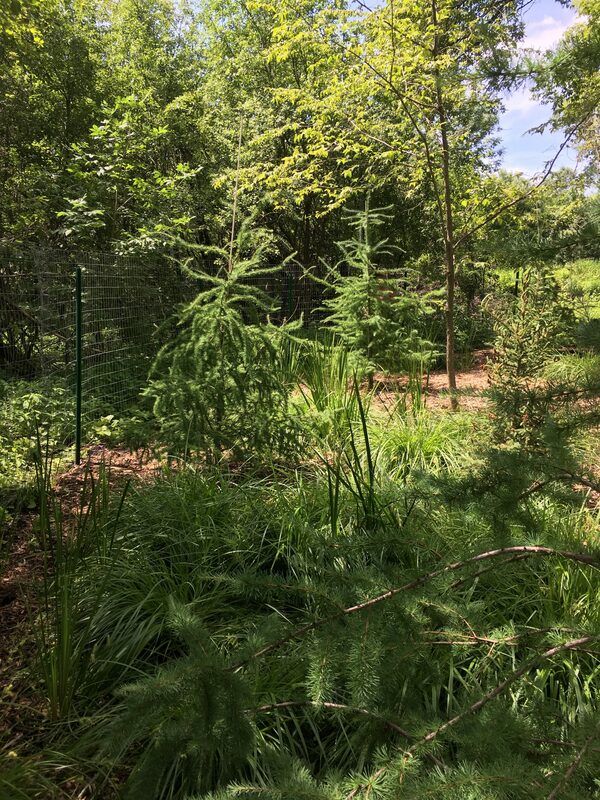 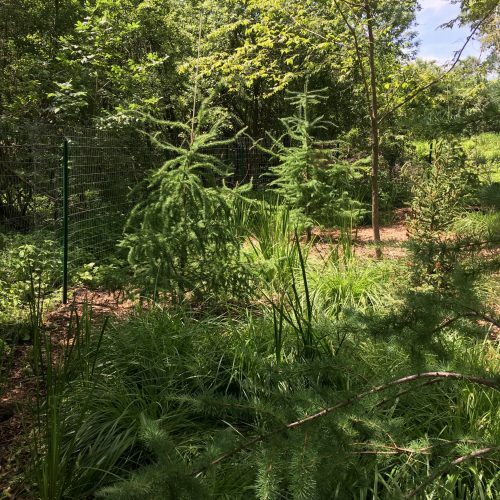 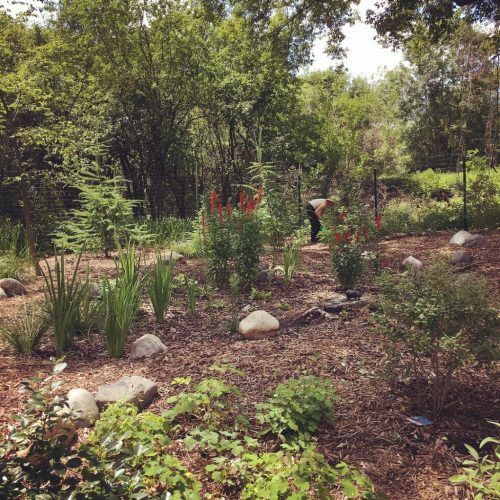 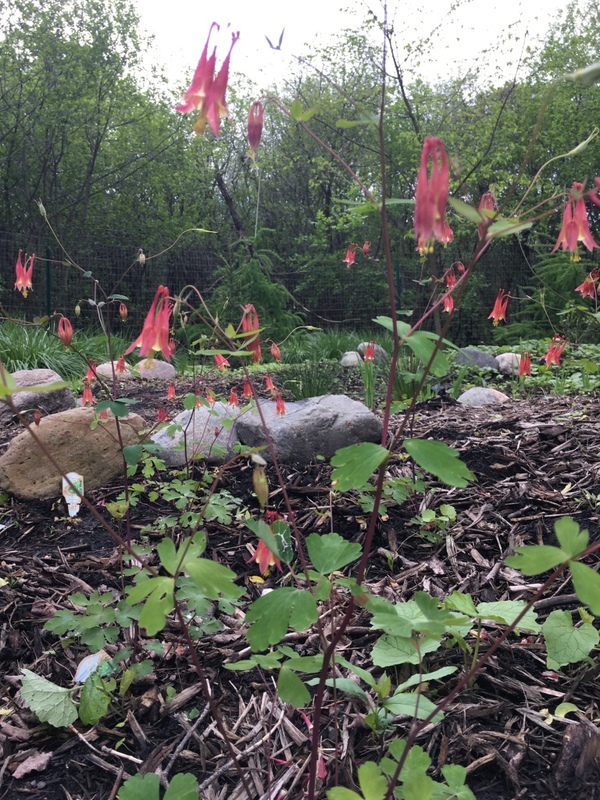 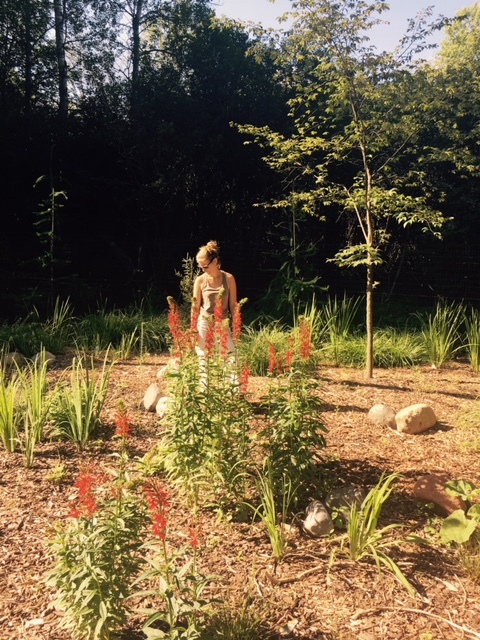 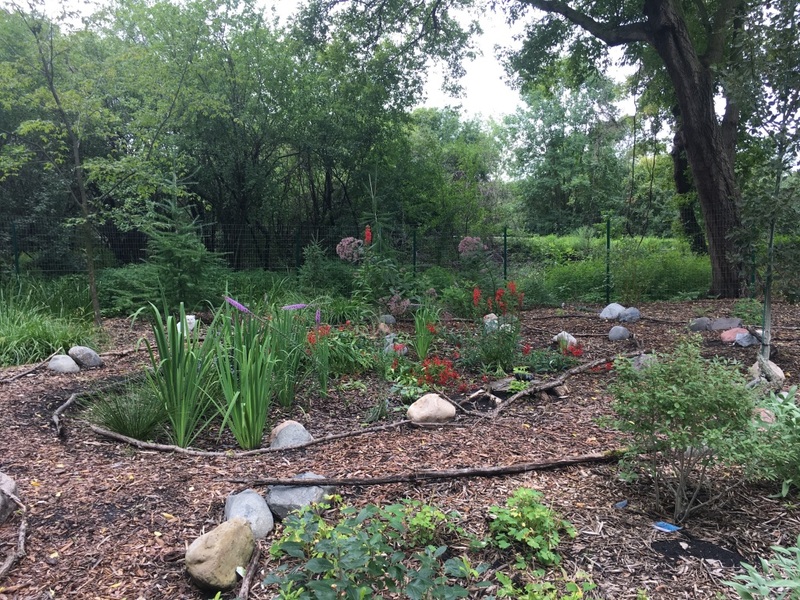 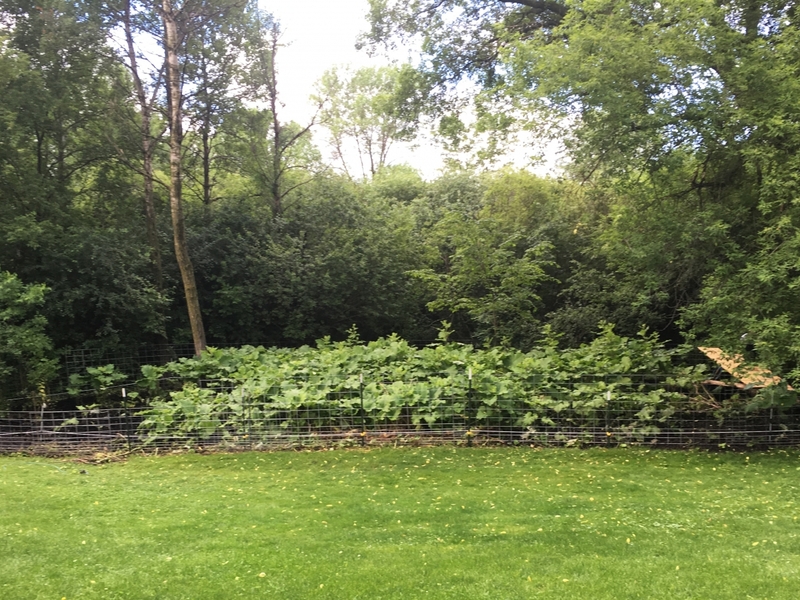 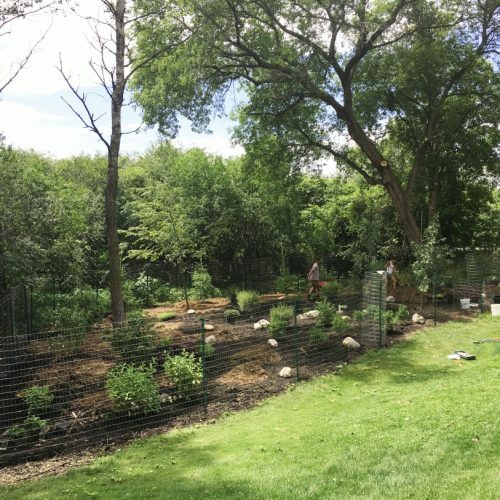 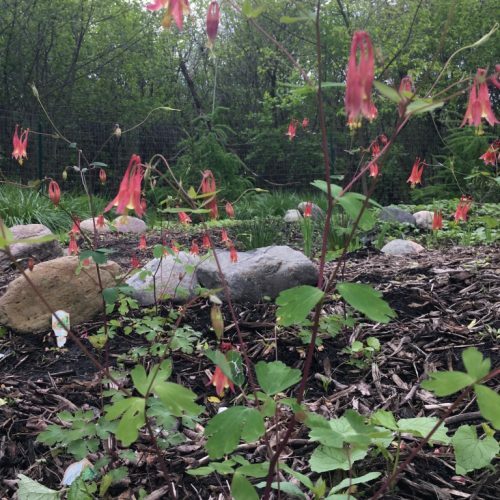 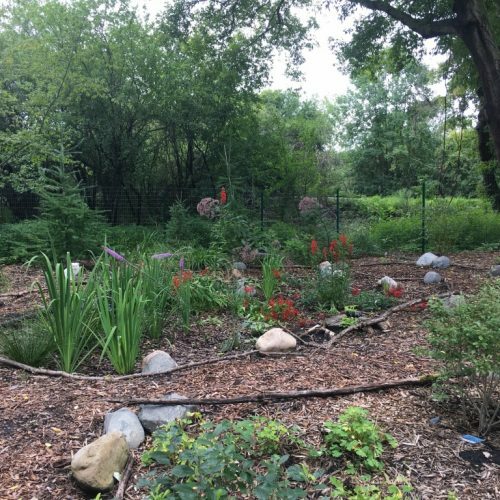 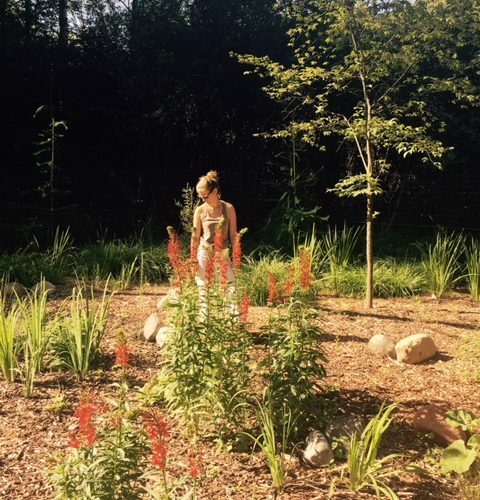 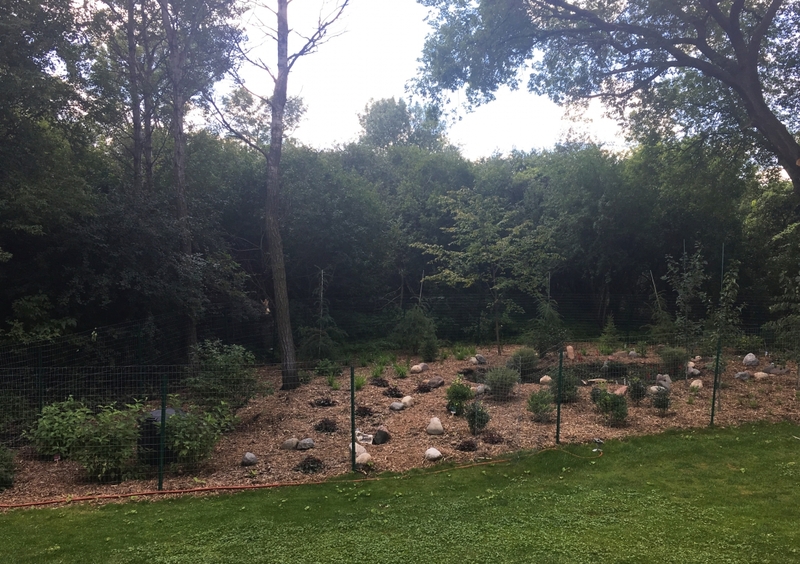 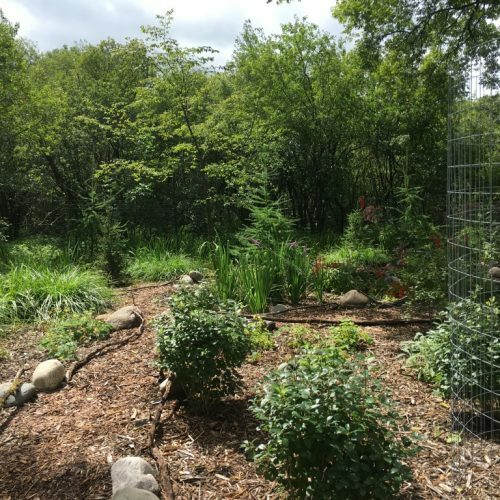 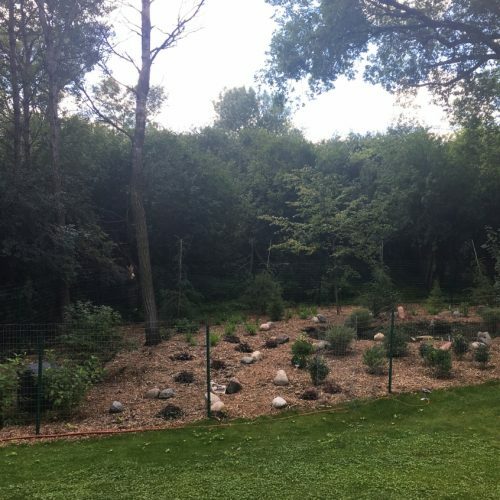 We will continue to work with the client and monitor the site for the next few seasons as the native plants fill in to ensure that the invasive species do not return.